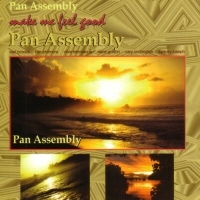 The Pan Assembly tradition continues with the two re-reissues from 2003. Fever and Make Me Feel Good showcase the artistry of ace pannists in contrasting tempos. Fever is up tempo with carnival hits and includes the soca anthem "Trini to the Bone" made popular by David Rudder. Make Me Feel Good is anytime music at a relaxed tempo with jazzy improvisations by the pannists. Several of the tracks are familiar ballads and you can lime and listen or get up and slow dance. You will feel good.